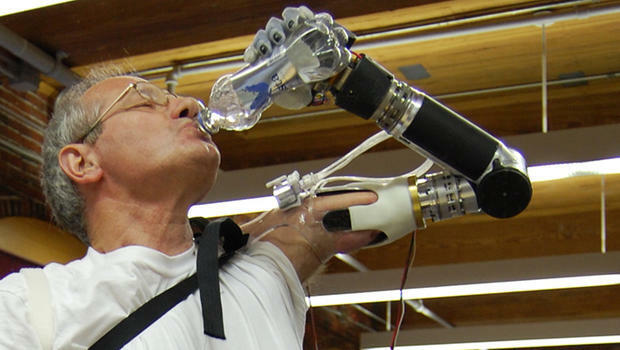 Once a patient has experienced an amputation, he/she might be surprised at how much basic motor skills he will have to relearn with his prosthetics and orthotics in order to regain a functioning level of “normal” mobility. This is why physical therapy is a vital component of the rehabilitation process. As part of a complete series devoted to prosthetcs and orthotics, this week, we will discuss Phase 1 of the prosthetic rehabilitation process: Post-Operative Healing. After surgery, the patient will be on IV (intravenous) pain medication that may include a nerve blocker to control postsurgical pain. Then the IV is removed, and the patient is put on oral pain medication. The wound will be monitored and cleaned, and the dressing changed daily to prevent infection and promote healing. At this phase of the process, the patient must be careful with his resting body posture. Excessive time with hips and/ or knees in a bent position may result in the formation of contractures. A contracture occurs when the soft tissue around a joint shortens muscle tissue and hinders that joint’s range of motion. To prevent this problem, frequent position alteration is critical. This is where the physical therapist will begin to assist the patient. She will instruct the patient how to move in bed and to transfer out of bed using proper body mechanics while protecting the surgical site from injury. Next, the patient will need to begin improving strength and endurance because by this time, patients have generally lost a considerable amount of muscle mass. The physical therapist will tailor an individual exercise program for each patient that will provide the most benefit with the least amount of discomfort. Education of the patient is very important during this phase. The medical staff will take great care in explaining the rehabilitation process and answering the patient’s questions. Also, the physical therapist can educate the patient about prosthetic devices and returning the patient to a healthy level of mobility through physical therapy and prosthetic training. Next week, we will examine the next phase of prosthetic rehabilitation, Preprosthetic Training. If you are in need of post-operative prosthetic or orthotic rehabilitation, don’t wait for your family physician; visit Excel Rehabilitation Services on Burnside Ave. in Gonzales, Louisiana. You will receive one-on-one professional care from an experienced physical therapist!